Not familiar with the Five Corners name? We’re not surprised. We’ve been working hard and keeping our noses to the grindstone. Our real estate agents aren’t big on throwing around a bunch of cheesy promotional items with their faces plastered on them. We tend to blow our marketing budget on our clients instead of ourselves. Our real estate agents are different that way. We have an industry-leading 2016 customer satisfaction rating of 97%*. Our real estate brokers and agents are Preferred Partners of our sister company, Brookfield Global Relocation Services, the second largest global relocation services firm in the world, managing over 85,000 relocations annually. Our clients include the governments of Canada and the USA as well as corporate clients, 35% of Fortune 100 companies, from around the world. Speaking of around the world, we are also part of the International MLS. The International MLS is currently syndicating more that 200,000 property listings in 45 countries and more than 300 new-home developments in 25 countries to over 300 international real estate portals, including realtor.com International. Meet with a Five Corners real estate agent. Usually our real estate agents aren’t what you expect, but we are what you want. Our agents seem a little more approachable. We’re smart and professional. We’re down to earth. We’re a lot like you. In the end, we want the same things you do when it comes to buying or selling your home. Our real estate agents don’t want to sell you any house, but rather your perfect home. We want you to move on too, which means selling your home quickly at the best price. It’s truly a full-time job. Five Corners agents aren’t part-time or “when we’re bored or need a little extra spending cash” real estate agents. We’re full-time, all-year-long, this-is-our-career type agents. Sure, we like long lunches and our free time as much as anyone else, but our schedules rarely allow for them and that’s okay because we love our jobs. Yes, our agents live on their cell phones, but we know when to put them away too. You deserve our full attention. We understand that waiting around for an offer or feedback seems like an eternity when you’re buying or selling a house. Yes we’re busy, but our agents are never too busy to keep you informed and answer your questions. You’ll enjoy working with a Five Corners agent. We seem to click with buyers and sellers. Our clients know we’re like that best friend who they count on to tell them the truth, not just what they want to hear. The person they turn to for honest advice. The one who has your best interest at heart. *Based on research conducted by a third party, independent research firm QSC. Quality Service Certified (QSC), an independent research firm, delivers, administers and validates customer service satisfaction results following closed transactions. 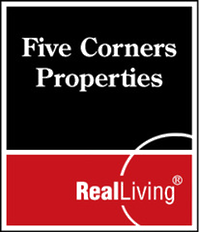 Five Corners real estate agents are kind, considerate and professional on the outside. Underneath, they’re tenacious, smart and aggressive. Our agents move fast using uncanny market know-how to guide and fiercely protect you every step of the buying or selling process. That’s what it takes to close a deal in today’s complicated New York and Connecticut real estate markets. We work with other real estate agents every day. Even we know it’s hard to tell one agent from the next. All REALTORS® use the same MLS and do business under the same set of real estate laws. Their ads use words like expert, trusted and dependable. That means when it comes down to choosing a real estate agent, your perfect agent, the laws of attraction apply. Of course, when you’re buying or selling a home you want a qualified and skilled professional. Those qualities are a given with any Five Corners agent. But you also want to work with an agent who you’ll enjoy being around. After all, you’re going to be spending a lot of time with him or her. Meet our real estate agents. No matter what type of agent you’re looking for, there’s a Five Corners agent that’s a match. The Real Living company formed on Dec. 31, 2001, emerging after three of the Midwest’s most prominent family-owned real estate firms–HER Realtors, Realty One and Huff Realty–joined forces to create a new kind of real estate company. "We’re owned and operated by ‘real people,’ industry leaders with decades of experience in the real estate business," Harley Rouda explains. "We offer our agents and network partners ‘real solutions,’ the best marketing technology tools in the business–all geared toward driving ‘real profits.’ We’re an innovative and forward-thinking company with decades of industry know-how. And that’s the perfect combination for success in today’s changing real estate industry." The leaders of Real Living are among the most respected in the industry–residential real estate people, including former presidents of the National Association of Realtors®, statewide association directors, board presidents and committee members and successful real estate agents. Based on this deep industry experience, company management has long known that real estate agents–not the brokerage–are the center of the real estate process. "We believe our true customers are our agents," Rouda says. "If you have great agents you will be assured buyers and sellers will have a great consumer experience–and that’s what drives sales. The bottom line is the more successful our agents are, the more successful we are as a company. Our efforts are focused on providing Real Living agents and network partners with the industry’s best marketing technologies–all geared toward driving their productivity and their profits." Growth, achieved by serving the needs of agents, is a tradition that began with the company’s "founding fathers" during the 1950s. Harley E. Rouda Jr.’s father, Harley E. Rouda Sr., entered the real estate business in 1953, forming HER Realtors in 1956 and establishing it as one of the top firms in the Midwest. 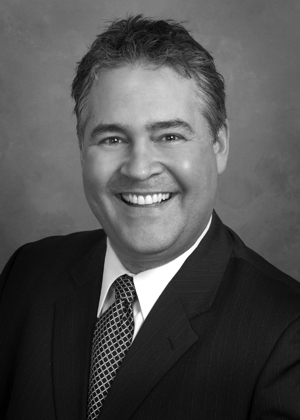 Rouda Sr. later gained regional and then national prominence as a real estate leader, serving as president of NAR in 1991 after holding other leadership positions in the local and state boards. In 1953, Vince and Joe Aveni founded Realty One–which became Ohio’s No. 1 real estate firm during the 1990s. Jim Huff also embodied Rouda’s and the Avenis’ entrepreneurial spirit, and founded Huff Realty in 1975. It, too, soon became one of the fastest-growing firms in the nation. Just as these industry visionaries understood that the most successful real estate companies are led by innovators who understand the needs of sales agents and consumers, today’s most well-known industry leaders are attracted to the agent-centric, innovative culture at Real Living. Judy Pogue, former president of Sibcy Cline Relocation Services, joined Real Living in November 2002 to lead Real Living Relocation Services. "I could sense the excitement and the possibilities with Real Living and I just had to be a part of the team," Pogue recalls. "Throughout my career I’ve been aligned with real estate companies that are independent and that think of the agent first. To be able to help Real Living grow nationally with these same values is a big job and an awesome opportunity." "Industry-wide, the real estate transaction is still somewhat dysfunctional," explains Rouda Jr. He says that clerical and administrative duties get in the way of what agents do best: Counseling, negotiating and working on behalf of their clients. Prospecting tools including personalized and automated direct mail, e-cards, e-newsletters, agent Web sites. Comparative marketing analysis tools, listing presentations, buyer presentations, and advertising templates. Web solutions for setting goals, conducting financial planning, hiring staff and organizing paperwork. Education and training tutorials on Web-based tools, online continuing education and a re-source library. So is Real Living’s business model working? Absolutely, according to Realty One President Barbara A. Reynolds. In business for more than 50 years, Realty One has grown to operate 47 offices in northern Ohio, with 1,800 sales associates. The company joined the Real Living Network in January of 2002. "Realty One is recognized around the country as an innovative company, with a strong history of family because of the Avenis and their leadership in the industry," Reynolds says. "We have always been on the cutting edge, always focused on results for our agents and their clients." That includes their approach to marketing, technology and training. We have turned into "an extraordinary company," Reynolds says. "With increasing industry change and consolidation, agents need a partner who keeps technology innovative, marketing fresh and training relevant. Real Living offers its partners an Intranet filled with the best tools in the business–tools for agents, broker/owners and managers that are unrivaled in the business." In 2009, Real Living was acquired by Toronto-based Brookfield Residential Property Services. In 2010, Real Living merged with another Brookfield national brand, GMAC Real Estate. In 2012, Brookfield and HomeServices formed a joint venture, HSF Affiliates LLC, to operate affiliate networks including Real Living Real Estate. "Following statements of confidence in the U.S. housing market, investor Warren Buffett is entering his holding company Berkshire Hathaway into a venture with Toronto-based private equity firm Brookfield Asset Management, Bloomberg News reported. The deal gives Berkshire Hathaway a controlling interest in the Prudential and Real Living brokerages, but the companies plan to launch their own realty brand, Berkshire Hathaway Home Services, by next year." "Jonathan and his team were very professional and knowledgeable. We had a very positive experience dealing with them. They did a nice job assisting with the staging and the presentation of our home. We had an offer above asking price at the end of the day after our broker open house." "My husband and I recently relocated from the Chicago-land area due to a company transfer. We were on a tight timeline to make a big move, relocating to an area we knew little about. I am SO happy that my company matched us up with Danielle Scialpi. Danielle proved to be extremely knowledgeable and accessible throughout the relocation process – two elements that were very important to us. If you're buying or selling in the area, you're selling yourself short if you aren't working with Danielle Scialpi!" "Jon worked with us to get our house ready to show, presenting itself in the best way possible. His open house brought more agents then I thought existed. The house sold (with a bidding war) for more than listed. It sold within 10 days from listing to contract. We got more than I thought we would. Jon also found us an agent in Washington State to help us find our new house. The agent he referred us to found our house on the first shot after we had looked for years with different agent that we finally dropped. I would recommend Jon to anyone. He is honest and hard working on your behalf. Jon is the best." "Working with Jonathan Lerner as well as the other staff members at Real Living Five Corners Realty has been a wonderful experience. Jonathan and his great staff know how to put you at ease immediately. Quick to respond and quick in making the entire Home Purchasing process a pleasant experience." "I owe Jonathan so much, several years ago we were purchasing a home and Jonathan gave us some great advice to pass on it and to purchase a different home. Fast forward several years later and our home is worth 3x what we paid for it, and the other home that we came so close to buying actually decreased in value. Jonathan is a quiet expert who has so much knowledge and experience that anyone would be lucky to have him or his agents help in their purchase."